Direct online lender, based in Chicago established in 2012. Maximum repayment term upto 60 months, may differ on the state. NetCredit does not charge any prepayment penalty or late payment fees, no application or origination charges. Low APRs starting at 35%. 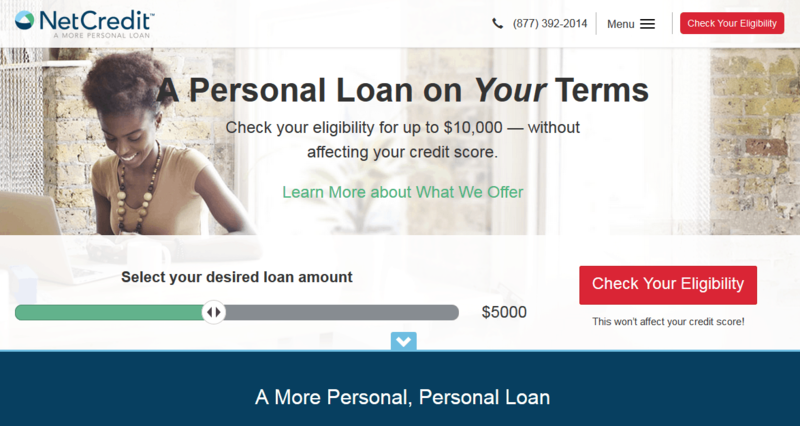 NetCredit is a direct lender providing unsecured personal loans online between $1000 to $10,000, in states wherever they’re lawfully authorized to operate in the U.S. NetCredit is situated in Chicago Illinois and founded in 2012. NetCredit is a subsidiary brand of Enova International, Inc. a publicly listed enterprise on (NYSE: ENVA). They have additionally partnered with Republic Bank & Trust Company, Member FDIC, to provide personal loans to consumers at lower rates in particular states. NetCredit has some excellent features that are beneficial for individual borrowers trying to avail financing. Below are some highlights to consider, which may assist you in deciding the best suitable option matching your requirements. A brief overview of the tools and main features of NetCredit. An essential part of the personal loan application process at NetCredit is to first check whether you are eligible to borrow money. By filling a short online form, you can immediately learn your eligibility and how much you qualify for. To get started, use the “Check Your Eligibility” button on NetCredit’s website to complete the process. Create a personal account using an email address and password and fill out a short form with few personal details including your source of income, it’s simple and just take a few minutes. NetCredit uses the “My ScoreSaver™” tool, to check if you’re eligible for a personal loan by conducting a soft pull of your credit. This soft inquiry won’t be visible to any third parties and will not affect your credit score. However, NetCredit will conduct a hard inquiry on your credit at a later stage if you decide to proceed with the loan. In fact, NetCredit considers a wider financial picture, rather than just looking at the number of your credit scores. Along with your score, multiple factors such as your income, state you reside, employment and your creditworthiness is considered to decide your eligibility. Find The Right Personal Loan. Finding the right personal loan offer that best fits your needs and the one which does not impact your monthly cash flow or budget is important so that you can make timely repayments without worrying about your other monthly expenses. NetCredit has created the “My RightFit Tool™” for personalizing your loan so that you get an opportunity to customize both the loan amount as well as your loan repayment schedule until you find the best match. If you are eligible to get a loan, you will be shown an individualized loan offer with the maximum amount you are entitled to; you can just go with that offer or choose to modify the details of your loan accordingly. The interface is easy to use, and you can decide how much you want and the repayment plan that suits your budget. The most important part to consider before availing a loan is to find out if there are any hidden charges or fees associated with the loan. NetCredit’s ClearCost for Me™ feature assures that there are no surprises when it comes to the overall cost of the loan. The only cost they charge is the simple interest that accumulates daily on the personal loan. Which means there are no hidden or extra charges like application fee, origination fee, prepayment, or non-sufficient funds fees. However, in some states, if you’re late on your payment, you may be charged a fee for missed or late payment. Note your bank may also charge you an NSF fee. NetCredit is committed towards the cost structure and keeps it clear and easy to understand, which assures a smooth loan experience. Offers the ability to enhance credit history. Good credit plays a significant role in your financial life. It is not only required to meet your financial needs such as qualifying for a loan or for obtaining a credit card, but you would also need it to get cellular service, leasing a car, and possibly even to get a job. NetCredit understands that enhancing your credit score is essential for you. With NetCredit’s “My CreditBuilder” feature, you get an opportunity to improve your credit history with timely repayments. When you make a payment towards your personal loan, it’s entered into the system, and furthermore will be reported to the two leading credit bureaus: – Experian and the TransUnion. With continued on-time payments, positive indicators continue accumulating resulting in a better credit rating. Keep in mind, if timely payments can improve your credit score similarly late or missed payments can negatively impact your credit report. NetCredit has an excellent feature called as My Choice Guarantee™; which allows you to return your loan within a specific time limit if you’re not entirely satisfied with your choice or if this is not the right fit to suit your needs. This feature is perfect for you, in case you are uncertain whether the loan is a good match for your requirements. If you wish to return your loan, you have until 6 p.m. CT the next business day after receiving the amount, if the loan is funded by NetCredit. In case your loan is financed through their partner, Republic Bank & Trust Company, then you’ve got until 5 p.m. CT on the third business day after funding to reconsider and return the personal loan. Can I pay off my loan early or make an additional payment?. NetCredit believes in keeping things simple and easy and hence offers flexible repayment options to their customers. If you decide to make an additional payment, schedule your next installment in advance ahead of your due date or pay off your loan in full, you will not be charged any fees or penalties for using this options. 1. Pay off your loan. If you wish to pay off the loan early in full at any time, log into your account dashboard and select the payoff option, you will get the final amount based on the chosen date. The total amount will get debited from your banking account on the scheduled date. If for some reason your payment doesn’t clear, the interest will continue to accumulate on your loan. NetCredit allows you to make additional payments towards your personal loan anytime you wish without any fees, the excess amount paid will be deducted from your remaining principal. This option will reduce the amount of interest that you are expected to repay along with the principal and can help you to repay your loan faster. Remember that additional payment will not change or influence your scheduled repayments, you will still have to pay your next scheduled payments. 3. Repay your next installment in advance. NetCredit provides an option to prepay your next installment in advance before the scheduled due date. This option could be beneficial, if you are uncertain about your future paycheck or you are aware of your financial situation and other obligations for the next month way before your payment is due and do not want to miss the loan payment. If you have extra funds available to cover the next payment early, you can pick a date higher than two business days before your scheduled due date. Right after the amount is debited from your bank account, the next scheduled payment will be canceled. Note that your future automated installments will resume on the following due date. 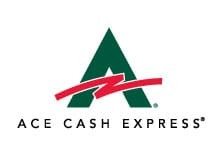 Your financial circumstances can change while you are repaying your loan; you may come across an emergency expense and need access to extra funds to cover up or if you find that the loan installments are affecting your cash flow and need lower payments. NetCredit offers two refinancing options to choose from if you are planning to refinance your current personal loan. These options are only available for existing eligible customers in select states. This option can be utilized if you have obtained lower than the full approved amount initially or have paid a significant share of your current loan. If eligible, you can top off your current loan amount and receive access to additional funds. The outstanding balance of your current loan combined with the additional funding amount is refinanced. Your existing loan account will be closed, and an entirely new loan with a new agreement and repayment schedule is created. The “Borrow More Money” option is currently available in the following states: Alabama, California, Delaware, Missouri, Idaho, New Mexico, North Dakota, South Dakota, Virginia, and Utah. This option gives you an opportunity to lower your installment amount if eligible by at least 15%, simply by refinancing the unpaid balance on your existing loan into a brand new loan with a new repayment plan and contract. The “Lower My Payment” option is currently available in the following states: Alabama, California, Delaware, Idaho, New Mexico, Missouri, North Dakota, South Dakota, Virginia, and Utah. NetCredit provides fixed rate personal loans; this means that the interest rate agreed upon and mentioned in your contract will not change throughout the entire duration of the loan. The annual percentage rate ranges between 34% to 155%. The (APR) annual percentage rate represents the overall cost of the loan for the entire year, which includes the interest and any additional fees. The rate you will be offered depends on the state you live in, your credit rating, profession history and the length of the loan. NetCredit uses simple interest rate method, which is calculated only on the remaining unpaid principal amount whereas some lending institutions may use compound interest rate, which can be more expensive as any interest accrued is added towards the principal. The repayment term is flexible and ranges between 6 months to 5 years. Some states have set limitations on the maximum loan term; which means the maximum duration you’re offered is determined by the state you reside. NetCredit has an option to customize your loan duration according to your requirements. This option is beneficial if you want lower monthly payments with a longer term. However, you would end up paying more in interest by selecting a longer repayment term. In case if you are capable of making higher monthly payments, you can choose a shorter duration, this helps in paying off the loan faster and would save an enormous amount of interest. Alabama $2100 - $10000 34% - 155% 6 months - 5 years Loan financed by NetCredit. Arizona $1000 – $10000 34% – 36% 6 months – 54 months Loan financed by Republic Bank & Trust Company and serviced by NetCredit. Arkansas $1000 – $10000 34% – 36% 6 months – 54 months Loan financed by Republic Bank & Trust Company and serviced by NetCredit. California $2600 - $10000 34% - 155% 6 months - 48 months Loan financed by NetCredit. Delaware $1000 – $10000 34% - 155% 6 months - 5 years Loan financed by NetCredit. District of Columbia $1000 – $10000 34% – 36% 6 months – 54 months Loan financed by Republic Bank & Trust Company and serviced by NetCredit. Florida $1000 - $10000 34% – 36% 6 months - 5 years Loan financed by Republic Bank & Trust Company and serviced by NetCredit. Georgia $3100 – $10000 34% - 59% 6 months - 5 years Loan financed by NetCredit. Idaho $1000 – $10000 34% - 155% 6 months - 5 years Loan financed by NetCredit. Indiana $1000 – $10000 34% – 36% 6 months - 5 years Loan financed by Republic Bank & Trust Company and serviced by NetCredit. Kansas $1000 – $10000 34% – 36% 6 months - 5 years Loan financed by Republic Bank & Trust Company and serviced by NetCredit. Kentucky $1000 – $10000 34% – 36% 6 months - 5 years Loan financed by Republic Bank & Trust Company and serviced by NetCredit. Louisiana $1000 – $10000 34% – 36% 6 months - 5 years Loan financed by Republic Bank & Trust Company and serviced by NetCredit. Michigan $1000 - $10000 34% – 36% 6 months - 5 years Loan financed by Republic Bank & Trust Company and serviced by NetCredit. Mississippi $1000 – $10000 34% – 36% 6 months - 5 years Loan financed by Republic Bank & Trust Company and serviced by NetCredit. 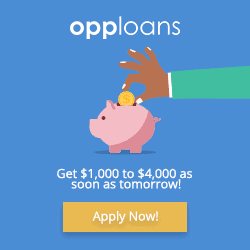 Missouri $1000 – $10000 34% - 155% 6 months - 5 years Loan financed by NetCredit. 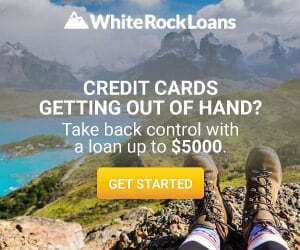 Montana $1000 - $10000 34% – 36% 6 months - 5 years Loan financed by Republic Bank & Trust Company and serviced by NetCredit. Nebraska $1000 - $10000 34% – 36% 6 months - 5 years Loan financed by Republic Bank & Trust Company and serviced by NetCredit. New Mexico $1000 - $10000 34% - 155% 6 months - 5 years Loan financed by NetCredit. North Dakota $1100 - $10000 34% - 155% 6 months - 5 years Loan financed by NetCredit. Ohio $1000 - $10000 34% – 36% 6 months – 54 months Loan financed by Republic Bank & Trust Company and serviced by NetCredit. Oregon $1000 - $10000 34% – 36% 6 months – 54 months Loan financed by Republic Bank & Trust Company and serviced by NetCredit. South Carolina $1000 – $10000 34% - 155% 6 months - 5 years Loan financed by NetCredit. South Dakota $1000 - $10000 34% - 155% 6 months - 5 years Loan financed by NetCredit. Texas $1000 - $10000 34% – 36% 6 months – 54 months Loan financed by Republic Bank & Trust Company and serviced by NetCredit. Utah $1000 - $10000 34% - 155% 6 months - 5 years Loan financed by NetCredit. Virginia $1000 - $10000 34% - 155% 6 months - 5 years Loan financed by NetCredit. Washington $1000 – $10000 34% – 36% 6 months - 5 years Loan financed by Republic Bank & Trust Company and serviced by NetCredit. Wisconsin $1000 - $10000 34% - 155% 6 months - 36 months Loan financed by NetCredit.